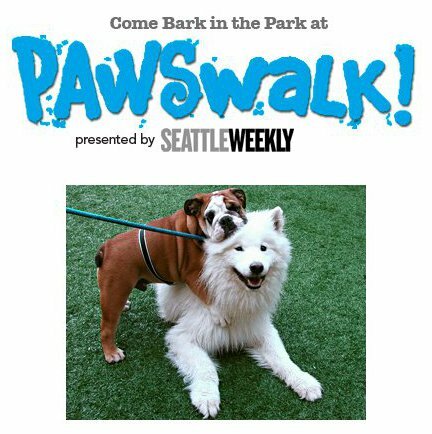 As an ridiculously good walker and lousy distance runner I’ve been really looking forward to the PAWS Walk 4mile charity event taking place on Sept. 8th. Since 1967, the Progressive Animal Welfare Society (or PAWS) has been rehabilitating injured and orphaned wildlife as well as sheltering and adopting homeless cats and dogs. They’ve united more than 125,000 companion animals with loving families, cared for 110,000 injured and orphaned wild animals, and made the world a better place for countless others through advocacy and education. With the dedication and support of hundreds of volunteers and thousands of contributors, PAWS provides direct care to more than 6,000 animals each year. The annual PAWS Walk event is a vital part of the organizations fundraising activities and gives them the ability to keep up the great work they do. This year PAWS Walk will move to its new home at doggie heaven (a.k.a. Marymoor Park). It costs nothing to participate, however to contribute you can either get people to donate to you as a walker or you can simply make a contribution yourself. There will be dogs available for adoption, trick contests, the CityDog Magazine Cover Dog Search, and the Pour for PAWS beer garden. If you’re not up for walking they can always use volunteers! For more information about the event visit the PAWS Walk site.